There are many reasons why so many people struggle to learn a second language. If I was asked to pick a key one, my choice would be the lack of "engagement". So much of learning a language revolves around beliefs about studying, memorisation, grammar and drilling. Struggling learners commonly think, "I need to do more of these" or "I am not skilled in these". They are missing the boat. What is required is being engaged, not just doing exercises. 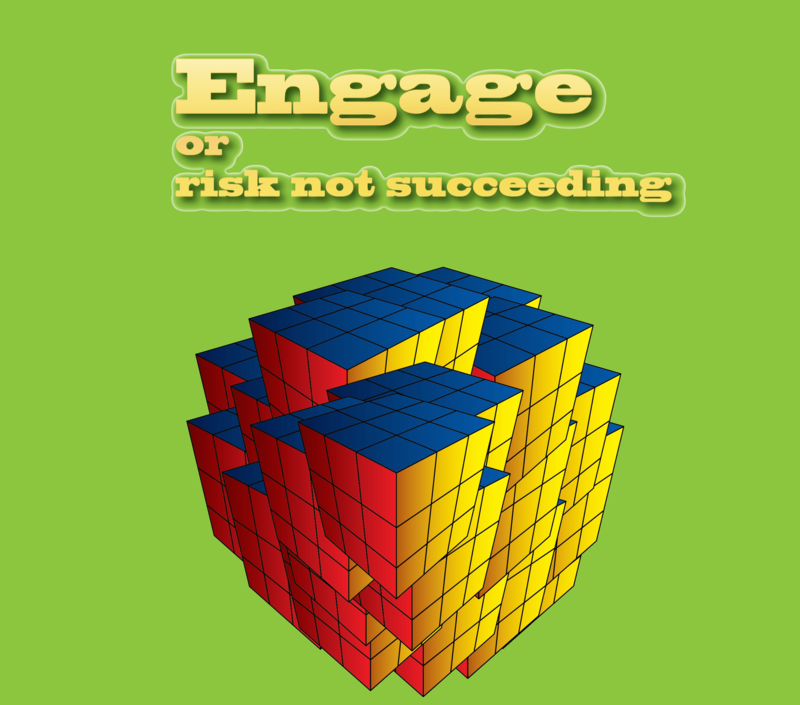 There is an increasing interest in engagement, even though it is labelled differently. The idea that learning can be like a game (gamification) has been gaining some momentum in recent times, at least in terms of dialogue about it. One of the key elements in games is the engagement factor. This is something close to my heart and which I have written and talked about at different times. My intention now is to tease out some of its characteristics. it can be very hard to drag them away as they are so engrossed in the game. They are completely engaged! So what is it about video games that has that affect? There are many factors to consider here at different levels, however, for now I will stick to perceptions and understandings that we can all readily identify with. My reflections here, I should hasten to add are all made from observations, both as an observer and as a "player". It might well be interesting to have some solid research on this, however it needs to be remembered that most of our day to day learnings come from our own observations and conclusions as well as from input, of the same ilk, from people who we come across. Learning to value and trust our own perceptions is an important part of once again becoming a good learner. As long as we value other people's ideas over our own, we diminish ourselves. It does not mean we should not listen to them. It just means we need to test what they say against what we have seen and understand and acknowledge that at times we can make our own decisions based on all that we have before us. At other times, however, we in fact might have little experience or understanding to come to a decision. At these times we can just suspend our judgement. testing is built into the game, namely progress ONLY happens when new skills or knowledge are learned and applied. Just imagine if we could apply even some of these principles to learning a language. It is possible, however for many people they need to be helped in this as their beliefs and biases (gained whilst learning a second language) may well prevent them from seeing what they need to do. Here is an example of what an engaging game might look like, a game which the learner can construct for them self and a game which results in learning of the highest order. feel more empowered and independent from participating in the "game"
So the biggest single improvement you could make to your learning is to keep looking for ways that have you be more engaged. That can only happen over time, if your skills and confidence keep improving. They go hand in hand.